POLKA was invited by Laufen, together with a group of artists and illustrators, to customise wash basins from their ‘Living City’ range. 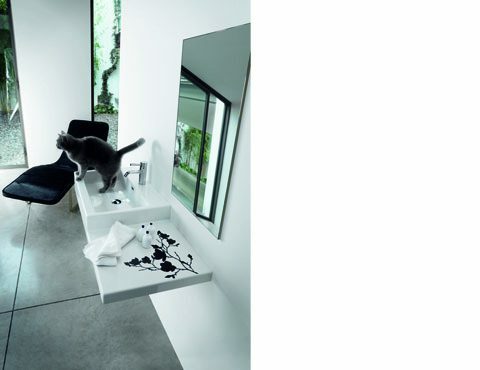 In one example we have invited nature back into the bathroom with the help of magnolia, bamboo, lotus and aloe vera, while in another we have created a grey writing surface for leaving messages, turning the basin into a tool of communication. The latter idea won POLKA an award from the International Forum for Design.